This entry was posted in rambling and tagged kraken, rum, silliness, umbrella. This is super cool. I wonder if you could find a plastic toy octopus and use its tentacle as your handle… then you could use the extras to put octopus tentacles on everything! lol. Wow I just saw this rum for the first time a few weeks ago and love the tentacle-ly design. 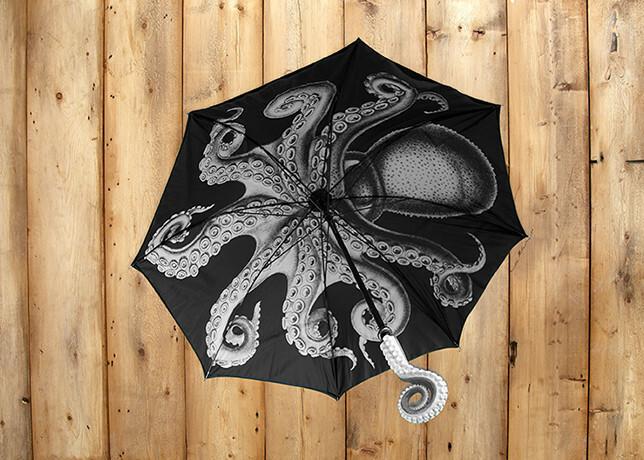 Want this umbrella, mine just broke too.